News | Friends of WAHS Cross Country, Track & Field | Go Warriors! Don’t miss the great coverage of the Dogwood Meet compiled by Coach Witt on the Girls Track and Cross Country website. Click for more photos from the Daily Progress coverage. Thank you for supporting your child’s decision to participate in cross country or track athlete at Western Albemarle and/or for cheering on our teams! These athletes have chosen a very challenging endeavor that requires dedication and a supreme work ethic. From this pursuit they become focused and well-rounded individuals and learn sportsmanship, perseverance and teamwork. We hope you will agree that running, jumping, vaulting and/or throwing with the WAHS program builds character and teaches student athletes about setting personal goals and achieving them. What is FRIENDS? Friends of Western Albemarle Cross Country, Track and Field (“Friends”) was formed as a tax exempt nonprofit by a group of parents in 2010 to support our student athletes and the gifted coaches, many of whom volunteer their time. WE NEED YOUR HELP.… Running a high-caliber program for these many athletes requires a team of gifted coaches providing the needed guidance and encouragement. As parents, alumni and parents of alumni, we know you are grateful for these experiences. Our teams have found success in part because of the strong mentors and coaches that show up again and again to work with these young people. What you may not know is that several of them are strictly volunteer. Our number one mission in fundraising is to provide stipends for our uncompensated assistant coaches. Friends also helps to ease the burden of expenses for some travel. Friends is also available to (quietly) ease financial burdens for athletes who might otherwise not be able to compete in invitational or national meets. (Speak with a coach and they can make confidential arrangements – even for new running shoes.) In the past few years, Friends made possible the Old Trail course and arranged for its maintenance, purchased a new pole vault pit, outdoor storage unit and successfully advocated for the replacement of the outdoor track at WAHS. But our primary focus is to support coaching. We estimate this year’s expenses to be approximately $6,000, most of which goes to our assistant coaching staff over three seasons. School budgets, including athletic budgets, are continually on the chopping block. This letter is our only annual fundraiser. Friends is a 501c3 nonprofit organization, so your donation is tax deductible. Please consider making a personally significant donation today to support our cross country, track and field programs. Donate here. Please subscribe to our blog on our website for emailed updates on our teams, and also follow us on Facebook, where results and photos from meets are posted. Thank you to all the coaches, athletes and parents for a great year. This year, thanks to your generous donations, Friends was able to support the WAHS running program by providing coaching stipends to unpaid coaches and assisting with financial support for travel to Nationals and other events. 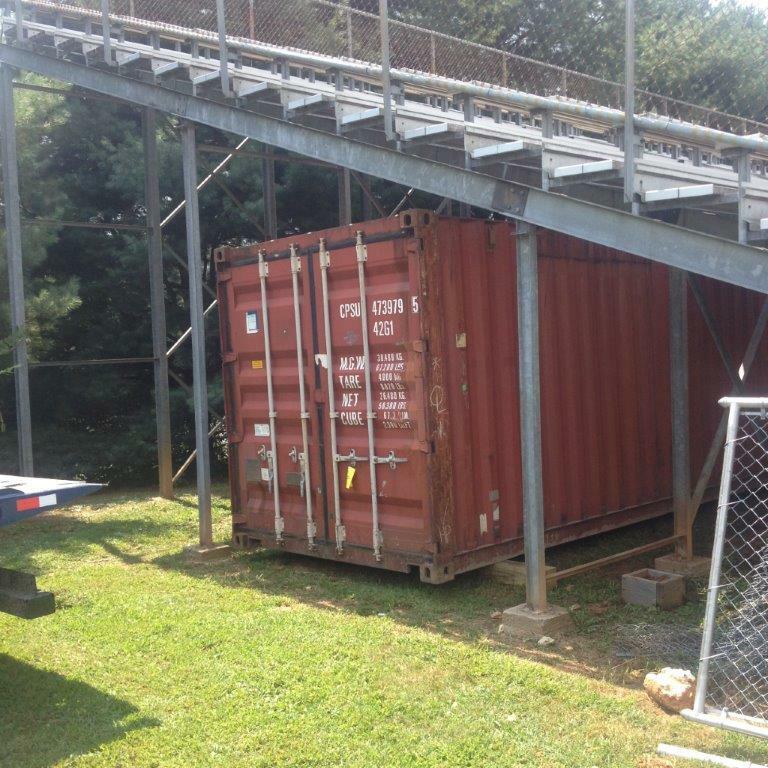 This year’s budget also included a very large grant with the purchase of the storage unit that resides under the visitor’s bleachers to help protect our equipment. There is more work to do! Next year we need increased support to further supplement coaching stipends! We want to continue to attract and reward our high caliber coaches who are critical to the day to day success and growth of our student athletes. And with continued success will come more travel opportunities and more need for grants for travel. So please support the program with a donation to Friends. Speaking of success….congratulations to our 3A State Track Champions! Madison Masloff (pole vault), Zoe Clay (3200) and Gannon Willcutts (1600). Read The Daily Progress article. Coach Girvin provided Friends with a recap of the boys season (prior to the rescheduled events): The boys track and field team capped off another successful season at the 3A state meet this Saturday. The meet was canceled early due to weather, so no official team standings were confirmed, but the boys stood firmly in 7th place and looked poised to improve with potential points remaining in the 800m and 4x400m. All state placers include the 4x800m team of Davis Greene, Trevor Stutzman, Jack Ehlenberger, and Gannon Willcutts, Jackson Smith (4th – pole vault), Trevor Stutzman (4th – 1600m, 5th – 3200m), and Gannon Willcutts (1st – 1600m). The team was led this year by distance runner Gannon Willcutts. Other top scorers include distance runners Davis Greene, Trevor Stutzman, and Jack Ehlenberger, pole vaulter Jackson Smith, sprinter/hurdler Corey Sims, and sprinter/discus thrower Jay Adams. Despite losing Willcutts, Stutzman, and Ehlenberger for next year, the team retains all other top scorers and appears poised to reload with plenty of talented and motivated young athletes waiting in the wings. There is no better way to follow the girls team than to check out their site. There’s great coverage of this season and past seasons as well! Check out their site! After a rain delay cancellation at the state meet, 4×400 team Corey Sims, Will Koester, Jay Adams and Matt Capshaw returned to Harrisonburg on June 8. Thanks to the generous fundraiser efforts of all the Friends donors and a lot of logistics, teamwork and effort— we finally have our new storage container to help protect the pole vaulting and other equipment. Thanks to the team at Mobile Mini for making several trips. Thanks to Jack Masloff, Leigh Capshaw, Steve Heon and others for measuring and thinking this through and troubleshooting. Special thanks to Jack for all the coordination and tree trimming and sight preparation. Storage for the track team was identified as a need for the program beginning years ago. The size requirements and delivery constraints made it difficult but after some trial and error over several months, we have success. This container will alleviate the long-standing storage problem and protect the equipment. In order to fund this capital project, Friends of WAHS Cross Country, Track & Field had to dip into reserves. We will be sending out our fundraising letter later this Fall and ask that you consider supporting Friends this year in order to build up those reserves again as we look to put focus as we continually do on supporting the unpaid coaches and helping with travel and other needs. We hope there are many opportunities for our athletes to shine.